Ever since I tried De’ Champion Duck in 2008, I’ve been going frequently for my roast duck fix. 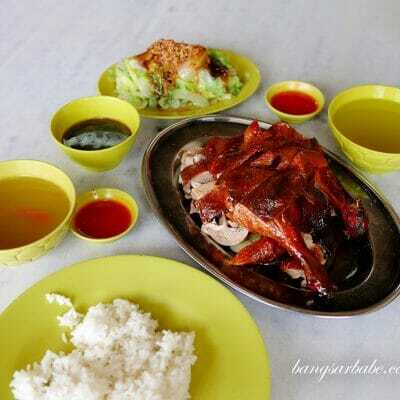 To me, they serve one of the more consistent roast ducks in Klang Valley. They also started serving some pretty awesome honey char siew, and that too, became my regular order whenever I dine at the shop. 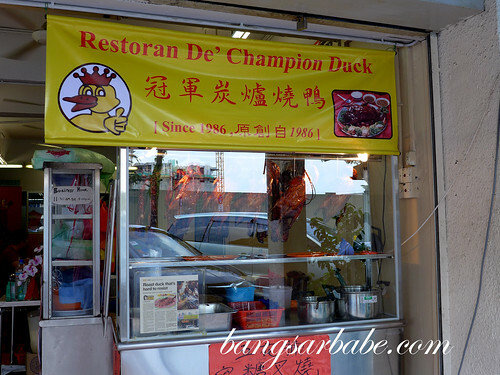 rif and I spotted De’ Champion Duck in Damansara Utama, when we went for coffee at a nearby café. Excited, I walked up to the shop and it was indeed, De’ Champion Duck. I mean, it’s kinda hard to miss the print out of my newspaper article with my face on it. Lol! 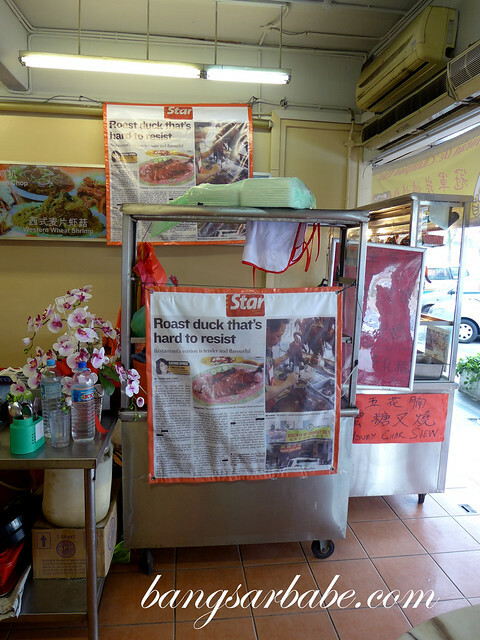 We made it a point to drop by for lunch the following weekend and discovered the stall is manned by Uncle Lye’s son. 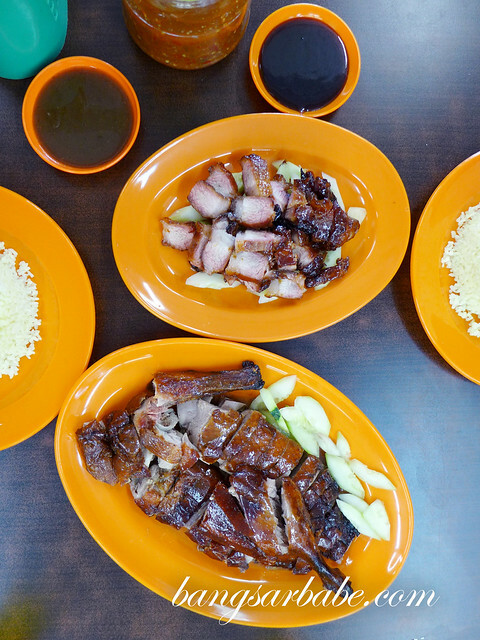 Since I was a regular at the original shop in Bandar Menjalara, Lye junior knew my order before I even opened my mouth – half a roast duck and a plate of char siew. The roast duck was just as good as the one served in the original outlet. 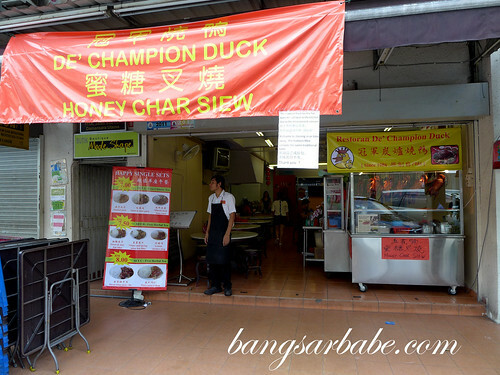 I was told they get the ducks and char siew from Bandar Menjalara, hence the quality. 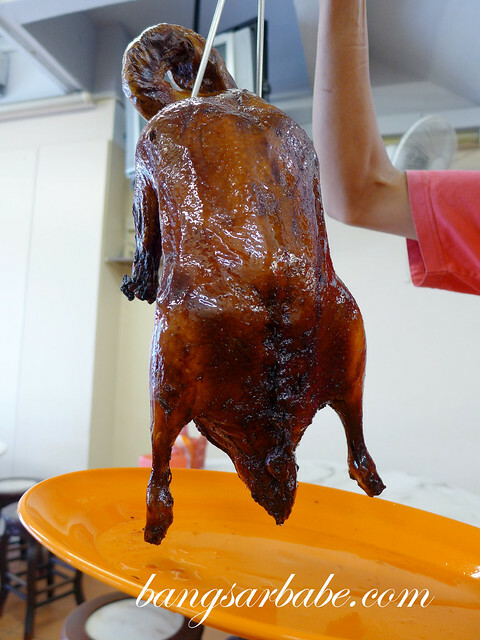 My duck was lightly re-roasted upon order so the skin was glistening, crispy and aromatic. The meat was juicy, rich in flavour and tender throughout. 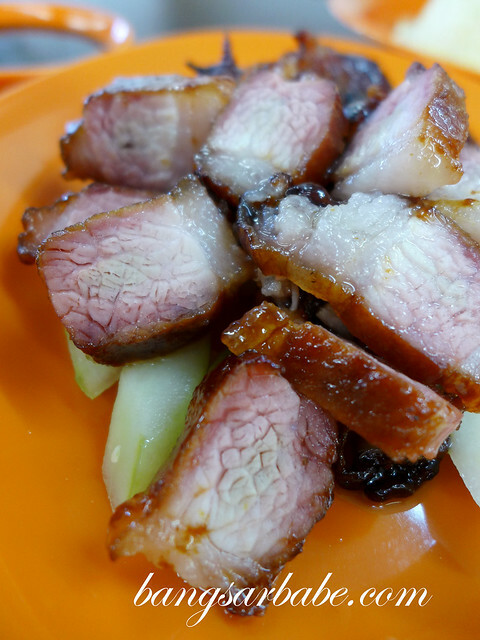 Half lean half fat char siew. Amazingggg! 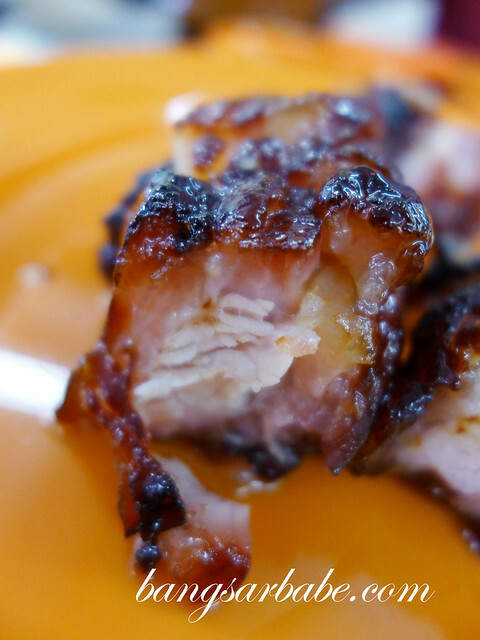 Remember to ask for pun fei sau (half lean half fat) when you order the char siew. It really is the best way to enjoy De’ Champion Duck’s BBQ pork, albeit slightly unhealthy. But each mouthful was sticky and melted in the mouth, with lightly charred edges. Good stuff! Lye junior mentioned they were planning to move again as the owner wants to renovate the shop. 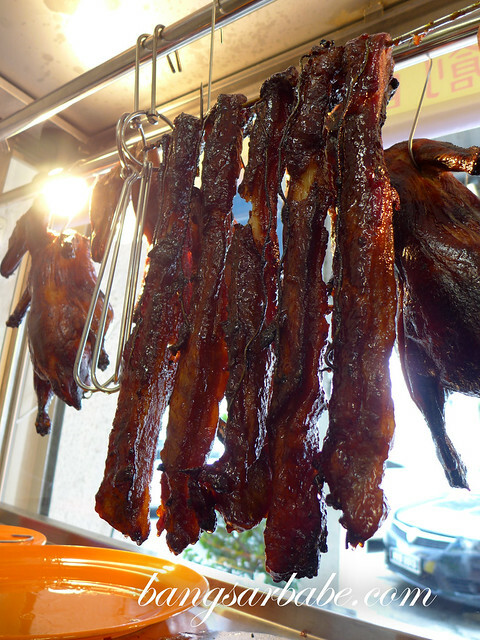 But for now, you can still get your roast duck and char siew fix. I’ll return for quick lunches, but for an indulgent meal of duck, char siew, choy keok and double boiled soup, it’s still the Bandar Menjalara outlet for me. 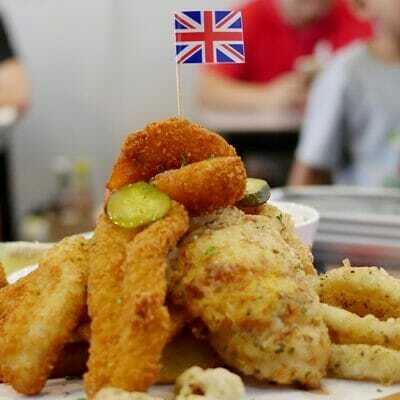 To read my review on the original outlet, click here. 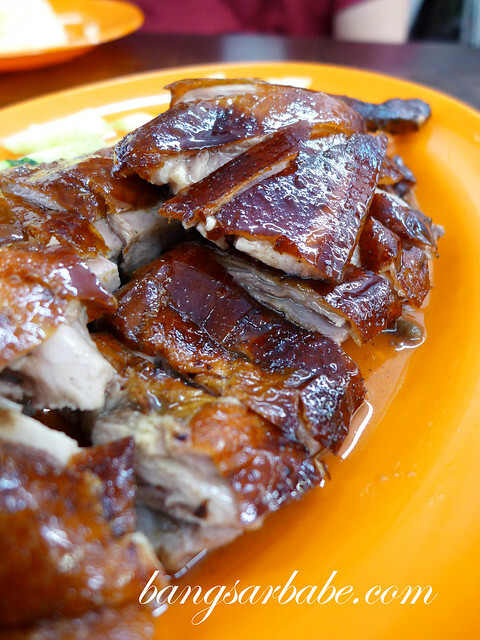 Verdict: One of the best roast ducks in Klang Valley. Do try and see if you like it! 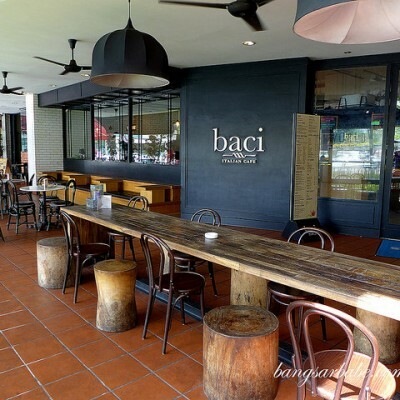 I’m so going after to tapau. How much does half a duck cost? It should be around RM25 per half duck. If I remember correctly. Will update you when they move to their new location. Is this still at Damansara Utama? Or they only have one branch which is at Kepong now?